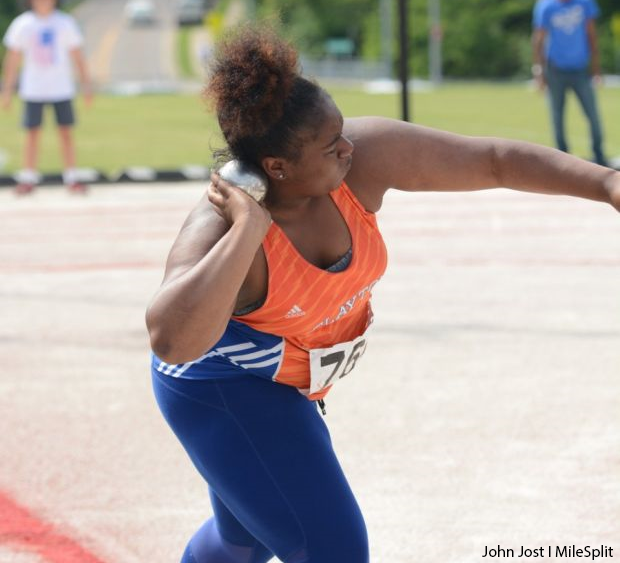 Nelson chucked the shot 38-6 in 2017 and that throw carried her to her first state meet. She ended up 13th there, but her personal best has her as a clear top 10 talent this year and should be good for a top 8 throw, potentially more if she can sneak over 40'. Nelson will do battle with Clayton junior Teaia Jackson in Sectional 2 this season. Jackson is 5.5 inches behind her in PRs, but she finds herself ranked ahead of Nelson as a result of their throws at state. She finished in the dreaded 9th spot last spring, but should be good for a medal this spring if she can stay over 38-0.